Known as the Gateway to the Rio Grande Valley, Edinburg, Tex., is a city of approximately 81,000 people on the north shore of the Rio Grande River across from Mexico. 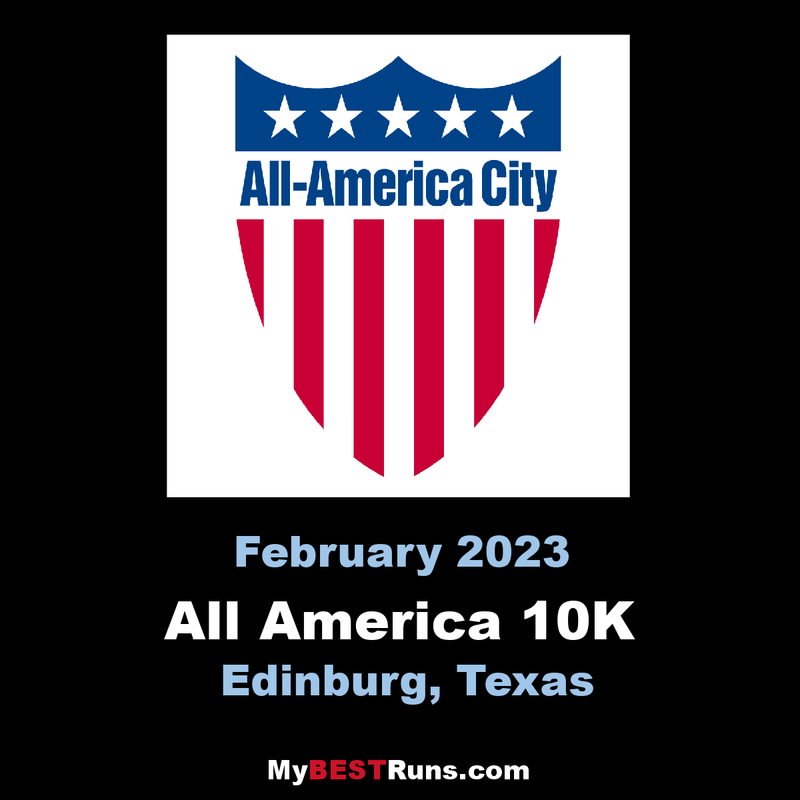 Each year it hosts the All-America City 10K, a world-class race which includes many invited elite athletes, many of them from Africa. 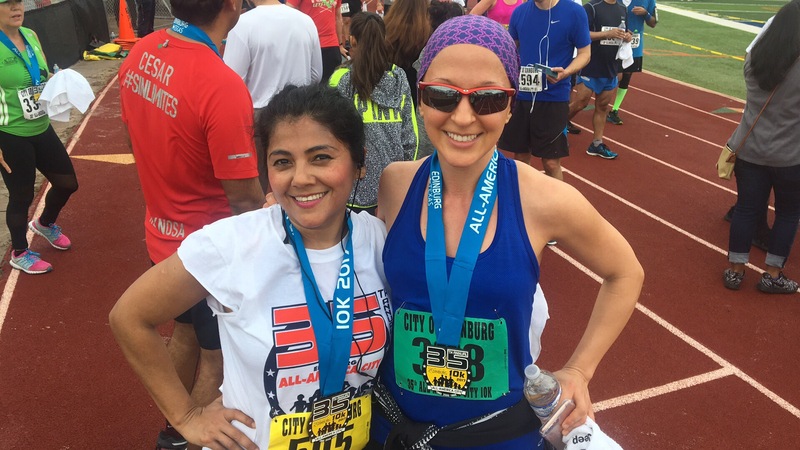 The race provides runners with a flat, fast out-and-back course through the streets of Edinburg. 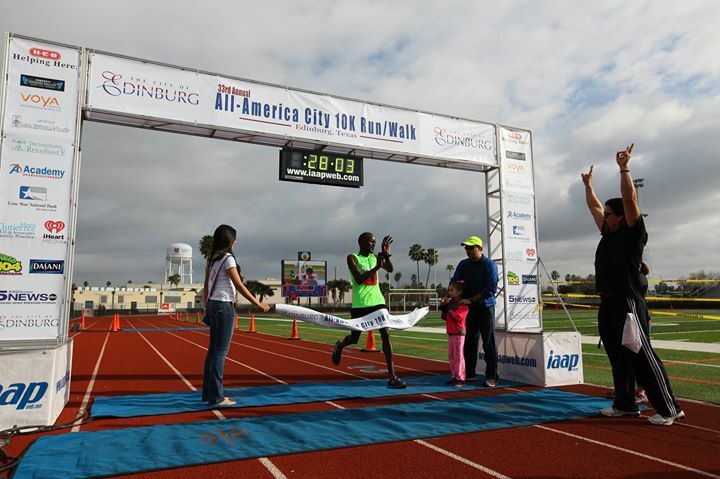 Fernando Cabada, former U.S. record holder for the 25K on the road, is something of a hometown hero in Edinburg -- his grandparents come from that area and Fernando, who was born and raised in Fresno, Calif., has run this race. My bib 2446 is not posted. It has another name linked to it. Ok. No wonder I was put in the 55-59 age group. I was looking at the results of the 2017 10k race. When are the results of the 2018 coming out? Thanks! This years race was awesome. Is this the 2017 results? My age is 60 and I was put in the 55-59 age group. And I do appreciate that. Thanks! My number and time are not posted.